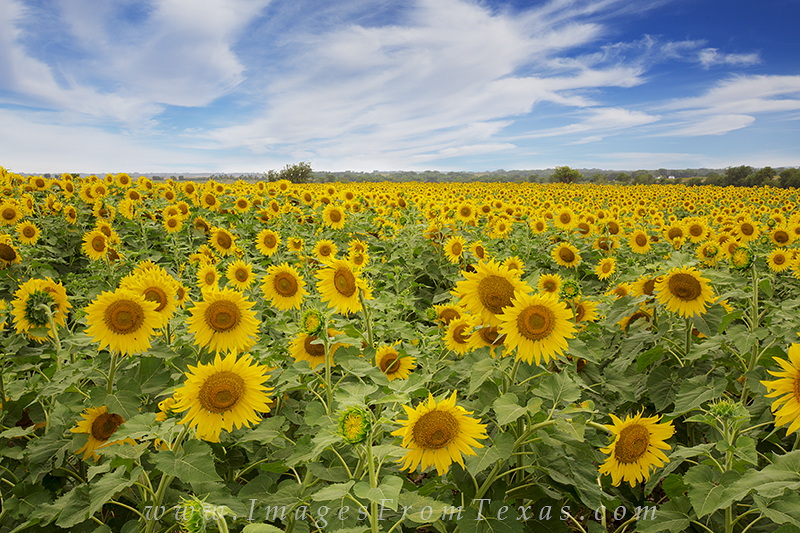 Sunflowers reach for the sky in this image from central Texas. Under a partly cloudy sky, the colors really shined, and I loved the contrast between the gold and blue. I just wish I had more time to photograph such a lovely landscape. Photo © copyright by Rob Greebon.